NASHVILLE, TN--(Marketwire - September 8, 2009) - J.D. Souther, one of the principal architects of the Southern California country-rock sound, will be honored with the prestigious ASCAP Golden Note Award at the 47th annual ASCAP Country Music Awards, Monday, October 19, at Nashville's legendary Ryman Auditorium. The ASCAP Golden Note Award is presented to songwriters, composers and artists who have achieved extraordinary career milestones. Past recipients include Reba McEntire, Garth Brooks, Sean "Diddy" Combs, Alan Jackson, Jimmy Jam & Terry Lewis, Quincy Jones, Stevie Wonder, André Previn and Tom Petty among others. Commenting on Souther's honor, ASCAP President and Chairman of the Board, Paul Williams said, "J.D. Souther's songs are unique. Written from the heart of a rock and roll rebel, their sensitivity and grace have earned them a permanent home in the great American songbook. They're the songs James Dean would have written if he'd been a writer. We've been friends for more years than either of us will admit to and I'm delighted to see his genius recognized." Souther is best known for his well-crafted songwriting abilities. He co-wrote some of the biggest hits for the Eagles including "Best of My Love," "Heartache Tonight," "New Kid In Town," and "Victim of Love" as well as "How Long," a single from their 2007 release, "Long Road Out of Eden," that was originally recorded by him on a solo album in 1972. Artists including George Strait, The Dixie Chicks, Glen Campbell, India.Arie and Michael Bublé have recorded his songs. He's also written several hits for Linda Ronstadt including "Faithless Love" and "White Rhythm and Blues," produced her "Don't Cry Now" album and recorded several duets with her, most notably "Prisoner in Disguise" and "Sometimes You Can't Win." As an artist the Texas-raised singer charted two Top 10 hits with "You're Only Lonely," and "Her Town Too," a duet with James Taylor. 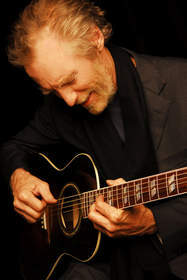 After a 25-year break from recording, Souther released "If The World Was You" in 2008. "Having written hits for nearly four decades, J.D. Souther is in a class all his own," said Connie Bradley, ASCAP Senior Vice President. "Many of the hits he's written have become part of the soundtrack of the lives of multiple generations. We are thrilled to honor J.D. with the ASCAP Golden Note Award." The ASCAP Country Music Awards is an invitation-only gala that will also salute the songwriters and publishers of ASCAP's most performed country songs of the past year. Special awards will be given to the Songwriter of the Year, Songwriter/Artist of the Year, Song of the Year and Publisher of the Year. A party honoring the evening's winners will follow the awards ceremony.